In these polarizing times, many people in our community are feeling vulnerable and excluded. As an institution that provides information, opportunity, and access to all, Queens Library is committed to being inclusive and welcoming to everyone. As an unofficial start to our Queens Library is For Everyone campaign, and to show our customers how strongly we embrace our core values of diversity and inclusion, Queens Library staff members, including our President and CEO, Dennis Walcott, stood outside of several libraries on Friday, February 24, greeted the public, and welcomed our customers inside, emphasizing that the Library is here for everyone, whatever their beliefs, backgrounds, identity, or circumstances. 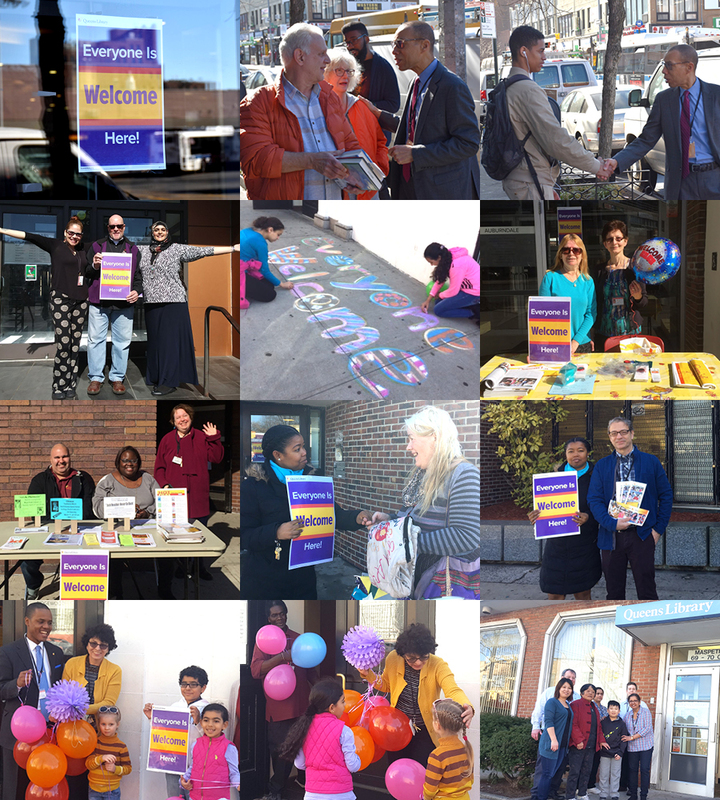 Everyone is Welcome at Queens Library—and we stand with the members of our community and are here for them at every Queens Library location.